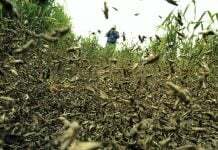 The Madagascar locust plague is at its maximum and has biblical proportions! 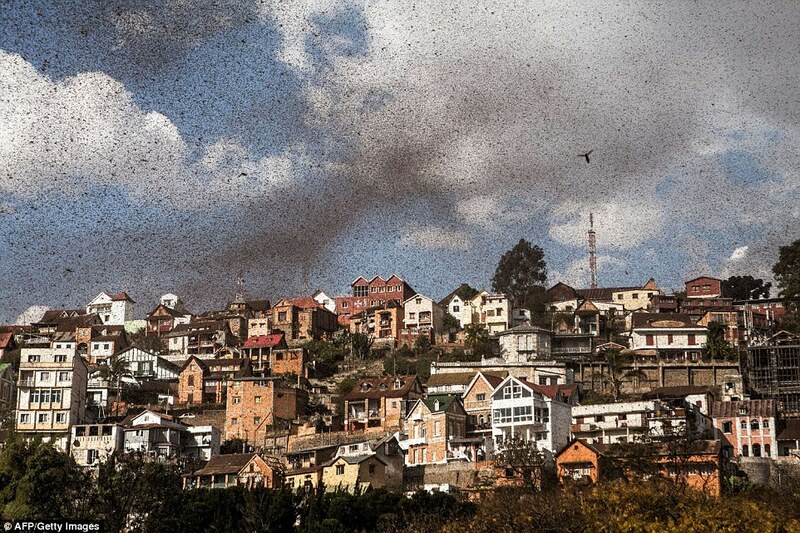 Look at these amazing pictures as billions of the insects make their annual migration over the Madagascan capital of Antananarivo. Amazing! Watch video below! 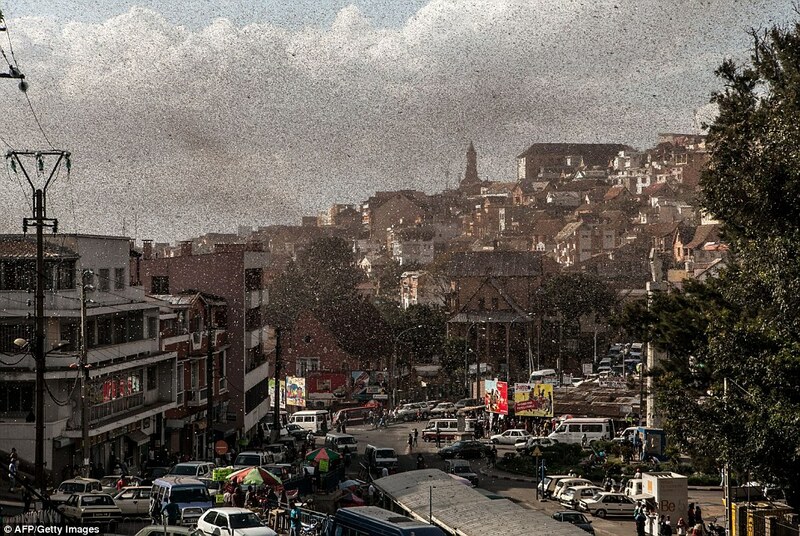 Billions of locusts photographed in the sky of Madagascar capital Antananarivo. 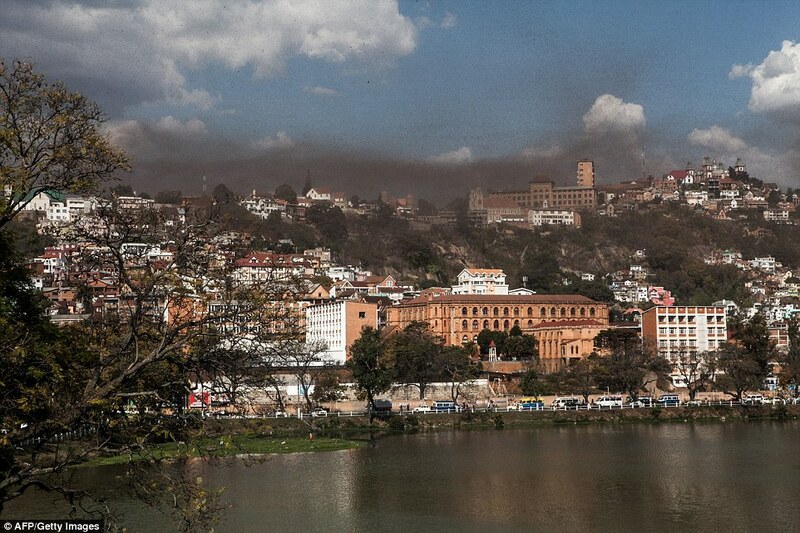 People have probably thought about a thunderstorm, when the sky suddenly darkened as the swarm of locust engulfed the capital city of Antananarivo in Madagascar. 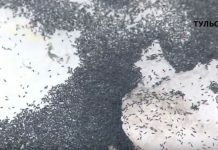 But instead of thunder and lightning, locusts were falling from the sky… Their city had been blanketed in a giant dark cloud of the flying insects. Biblical! But actually, they are used to this now more or less normal phenomenon. It is indeed the third year in a row, that the plague hits Madagascar. Now officials it is considered asan annual migration. But this is bad news for farmers. 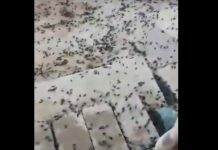 Madagascar’s nine million agricultural workers are panicked as insects devastate agriculture eating their own body weight in crops every day… Desperate farmers protect their land by starting fires and increasing their use of insecticides (bio). So this Madagascar locust plague is really apocalyptic! Could Agent Orange be the solution? Of course not! Still have a thought for them today!